The Analytical Chemistry Group (ACG) at the University of Missouri Research Reactor (MURR®) specializes in providing elemental analyses and irradiation services to a global community of private industry, government agencies and academic institutions. The Analytical Chemistry Group maintains an array of scientific instruments and analytical techniques suitable for elemental analysis in a variety of sample matrices. Elemental analysis at MURR is accomplished through a variety of analytical methods which are tailored to meet the needs of our clients. 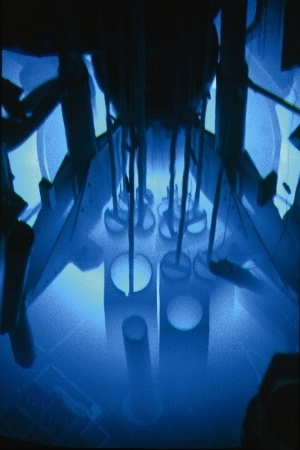 Our research reactor is a unique tool, allowing us to offer a variety of neutron activation analysis techniques that other contract laboratories cannot. In addition, we also offer a variety of ICP instrumentation (ICP-MS, ICP-OES, LA-ICP-MS, and MC-ICP-MS), as well as XRF capabilities. Because of our versatility in analytical methods, we can optimize your elemental characterization and quantification needs, providing outstanding sensitivities and limits of detection. The Analytical Chemistry Group is a division of the University of Missouri Research Reactor, the highest powered university-based nuclear research reactor in the country. Even worldwide, there are few facilities that can compare. Over the decades, MURR and the Analytical Chemistry Group have developed a reputation for reliability, quality and excellence in our analytical services. Feel free to contact us concerning your analytical needs. From out of the blue . . .
. . . ingenuity, accuracy, quality, and dependability like no other. The Analytical Chemistry Group (ACG) at the University of Missouri Research Reactor (MURR). © 2012 - Curators of the University of Missouri DMCA and other copyright information. All rights reserved.